Casio's most advanced scientific calculator to date, has been designed and engineered for easy operation at any level. 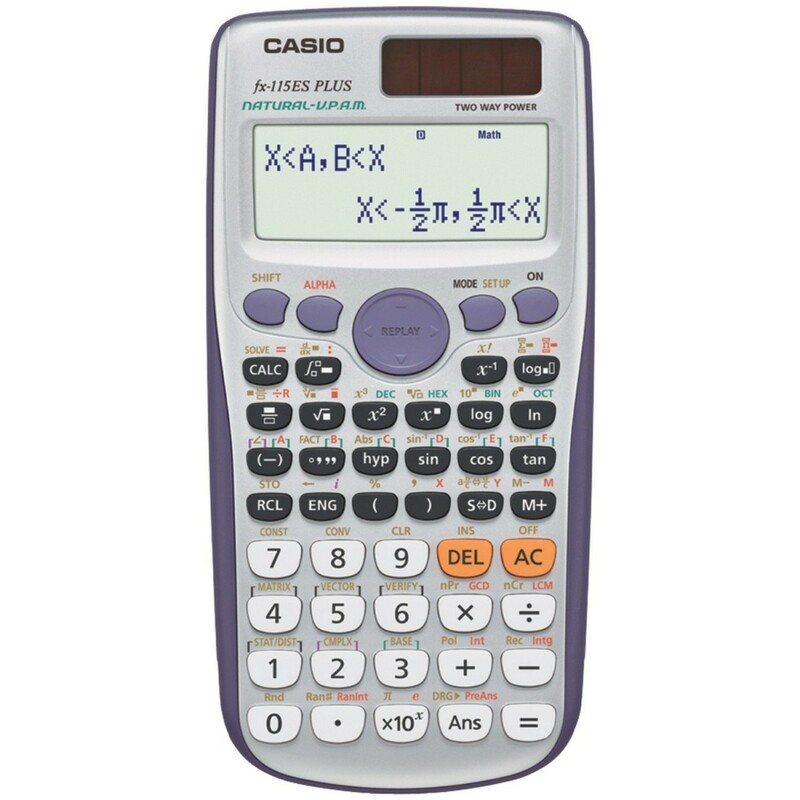 The Natural Display and enhanced features like displaying root forms of equations, finding derivatives, product notation templates, and advanced inequality functionality, makes the fx-115ES Plus extremely versatile and the perfect choice for high school and college students alike. 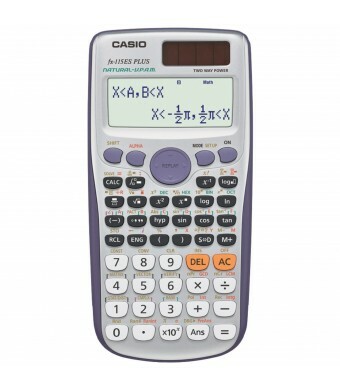 The CASIO fx-115ES Plus scientific calculator is permitted for use on the PSAT/NMSQT, SAT and ACT college entrance exams, AP tests, and NCEES exams. The fx-115ES Plus is intuitive and easy to use as you progress through your coursework. It has two-way power, Solar Plus with Battery Back-up, so you're always ready!